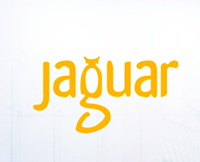 JaguarPC VPS Special 50% More Ram 75% More Disk Space and Double the Bandwidth! 10 Reasons JaguarPC does it better! Free Level 2 Managed Services! Free Migrations from your Current Provider! What is a JaguarPC VPS?Dual Quad Core CPU’s with at least 16 Gigs of blazing fast ddr2 ECC Registered Ram…. That’s right we use the good stuff boys and girls. Then with a raid 10 array on top of those 8 hard drives for the best I/O Rates in the business. More InfoYou pick the Operating Flavor, but we recommend CentOS It tastes the best! CentOS | Debian | Suse | Fedora CoreYou Pick the Control Panel but cPanel’s the Best and Plesk’s Free* cPanel / WHM Direct Admin Interworx Plesk **Note of course you get full root access, it wouldn’t be a vps if you didn’t!Coupon Code: “SummerSizzler08”Discovery Package 128MB RAM Guaranteed + 50% FREE = 192MB 10GB Disk Space + 75% FREE = 18GB 150 GB Bandwidth + 100% FREE = 300GB $19.97/month – 15% Discount = $16.97/month Setup Fee $15.00– 100% Discount = $0.00 ORDER NOWFreedom Package 256MB RAM Guaranteed + 50% FREE = 384MB 15 GB Disk Space + 75% FREE = 28GB 300 GB Bandwidth + 100% FREE = 600GB $39.97/month – 15% Discount = $33.97/month Setup Fee $15.00– 100% Discount = $0.00 ORDER NOWApollo Package 384MB RAM Guaranteed + 50% FREE = 576 MB 25 GB Disk Space + 75% FREE = 44GB 500 GB Bandwidth + 100% FREE = 1000GB $59.97/month – 15% Discount = $50.97/month Setup Fee $15.00– 100% Discount = $0.00 ORDER NOWEnterprise Package 512MB RAM Guaranteed + 50% FREE = 768 MB 45 GB Disk Space + 75% FREE = 79GB 700 GB Bandwidth + 100% FREE = 1400GB $79.97/month – 15% Discount = $67.97/month Setup Fee $15.00– 100% Discount = $0.00 ORDER NOWCoupon Code: “SummerSizzler08”FAQ: How do I Order? How do I get all these extras? Place your order for the plan and the control panel you want. Do not worry about adding the extra ram, disk, b/w, etc. Our setup engineers will include those when your order is processed as long as you use that coupon code. That coupon code will also discount the Plesk 10 domain license to free and take 15% off your package.Do you allow adult content? YES, we allow legal adult contentDo you allow IRC or Proxy sites? No, sorry we do not.How long does it take to setup my VPS? It can vary from a few minutes to few hours. If you wish to find out about your order status we welcome you to call us at any time. If you are not setup within a few hours just shoot me an email, be happy to investigate the order gremlins and see what they are doing.What is a lifetime discount? The discount stays with your account as long as you keep it. The discount can even be passed on to higher vps plans if you decide to upgrade later. Unfortunately this discounts does not apply to downgradesTEST FILE: http://www.jaguarpc.com/test.bin More Info: http://www.jaguarpc.com/vps-hosting/If you have anymore questions contact [email protected], drop by our community forums, or call toll free 800-558-5869~~~~~~~~~~~~~~~~~~~~~~~~~~~~~~~~~~* Note: ~ While supplies last. When these new nodes are sold out this sale ends! ~ FREE Extras such as RAM, Disk space, and Bandwidth are added to your VPS after setup ~ Lifetime discounts are reflected in the price while ordering when you use the coupon code ~ You keep your lifetime discount for as along as you keep the account on the same or higher vps plan ~ Note Free Plesk is a 10 Domain Plesk License upgraded domain versions available at extra cost.